Early Oscar predictions are already beginning to surface, and one of the frontrunners in many lists is perhaps the unlikeliest person imaginable. 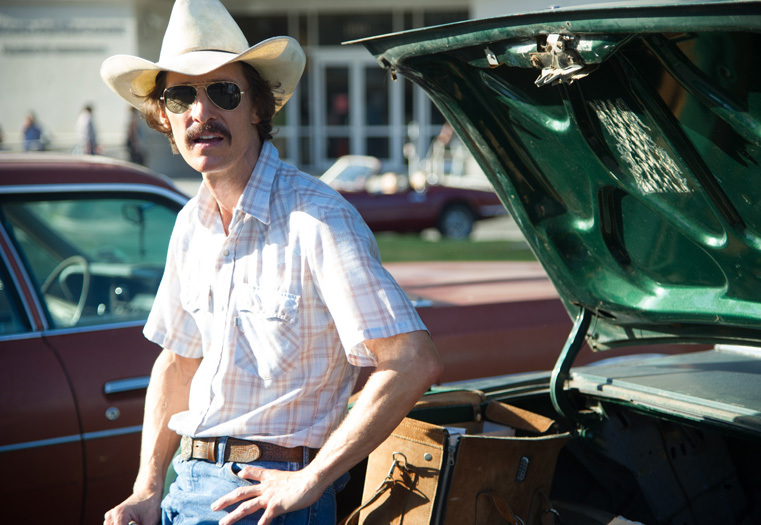 It would have been hard to believe just a few years ago, but Matthew McConaughey has topped off his recent career resurgence with an outstanding 2013 that has seen him turn in potentially award-worthy performances in several films. Mud is riding pretty high on most reviews of the year and the actor still has Martin Scorsese’s The Wolf of Wall Street in the works, but it’s his role in Dallas Buyers Club, the trailer for which has just been released, that has most people talking. Set in the 1980s, Dallas… depicts the US at in the height of the AIDS crisis. Sufferers are at the mercy of a divided government, whose uncertainty over how to deal with the epidemic has led to widespread difficulties in accessing effective medication. None of that matters much to Ron Woodruff (McConaughey), a Texas cowboy more concerned with partying and excess than anything political. That is, until he is diagnosed as HIV-positive and given 30 days to live. Now forced to face down the struggle for treatment, he discovers that cheaper drugs are available in Mexico and promptly begins smuggling them across the border, enlisting the help of a transvestite called Rayon (Jared Leto) in distributing them to sufferers in Texas. Something like this might seem far-fetched were it not based on actual events. McConaughey’s transformation for the role is staggering, not least due to the actor’s famed physical fitness in many of his films. Given the Academy’s track record in rewarding such daring feats – not to mention the socio-political undertones of the events – this seems certain to do well, though it seems Leto’s turn as Rayon might provide more of an emotional punch. The film premieres at the Toronto International Film Festival next week, before opening in cinemas on November 1st.